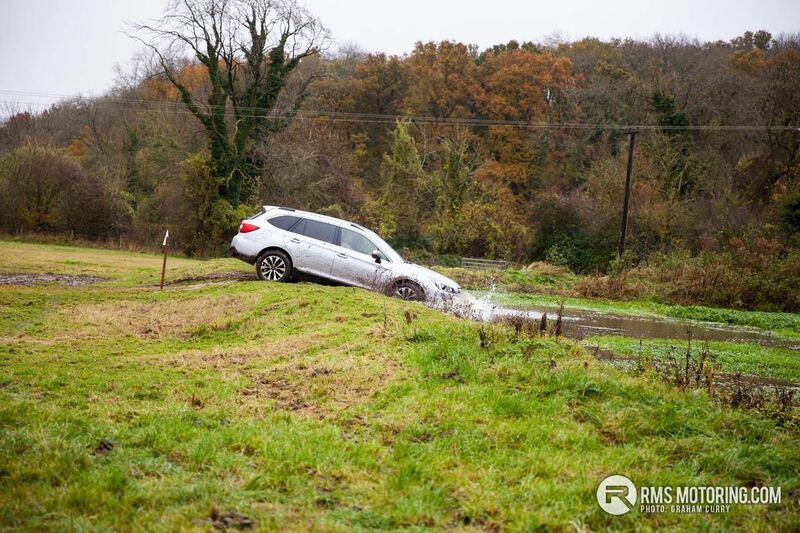 Whilst at a Subaru UK off-road event, the latest Subaru Outback was on the agenda to put through its paces off the beaten track and despite looking like nothing more than a practical family estate it surpassed all expectations. 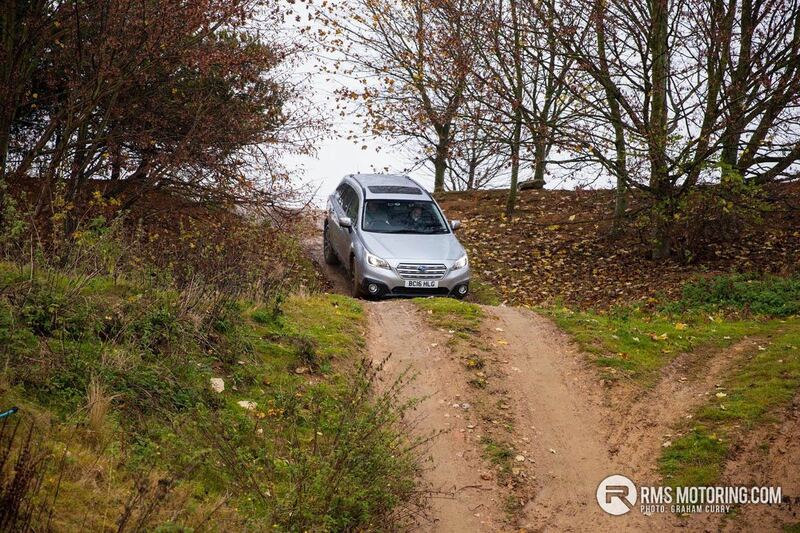 The Outback was launched just over two decades ago and in simple terms started life as a Legacy Estate with raised suspension and added body mouldings to protect the panels when off the beaten track. 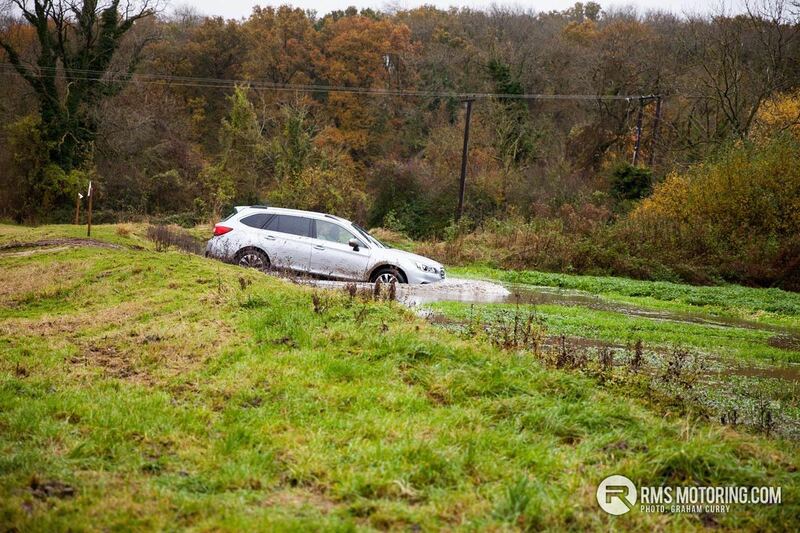 Over time the Outback has progressed and developed into what we see today, which, when launched around two years ago, is the fifth generation of Subaru’s globally loved adventurous estate car that is more capable and practical now that it has ever been. 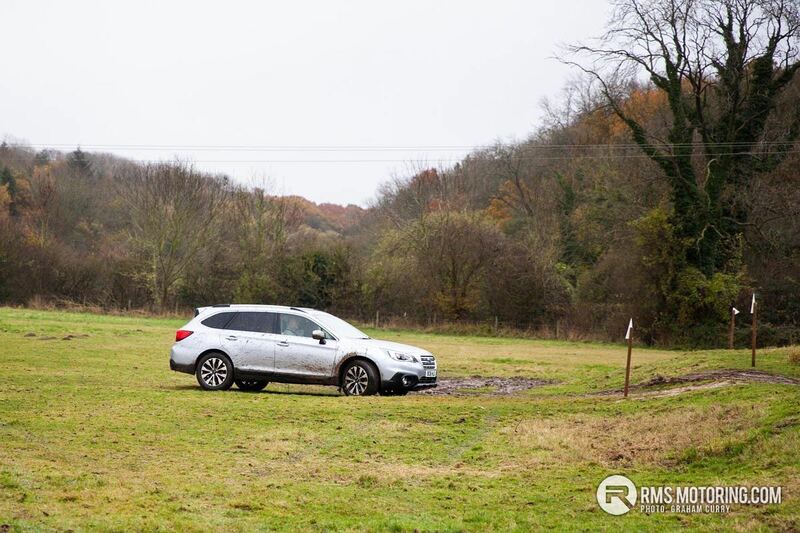 Outside, the Outback looks fantastic and I guess I am a little bias being a fan of both Subaru and estate cars, however it does look great with LED headlights and taillights that wrap around into the wing and quarter panel respectively. The model tested is finished in metallic silver paint which shines in contrast to the rear privacy glass and the durable black trim that runs along the bottom half of the bumpers and up the full length of the Outback’s sill and onto the doors. 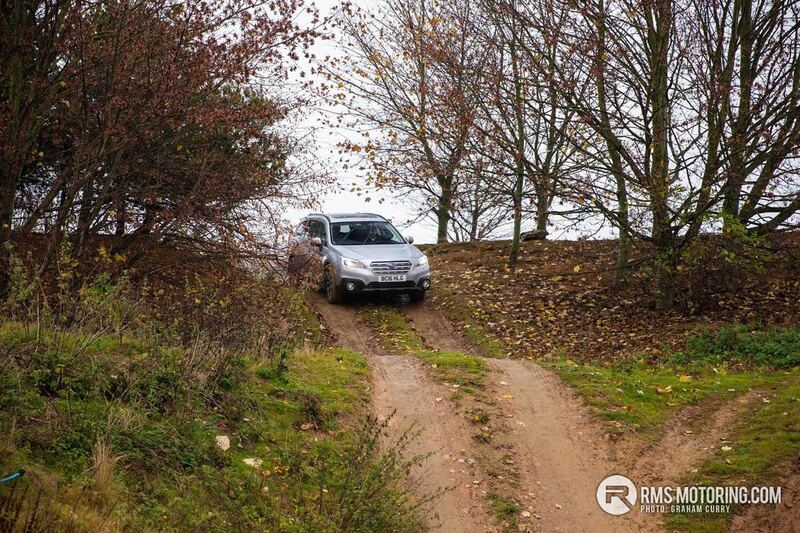 This feature of the Outback is the only tell tale that this Subaru is not only intended to live life in the fast lane but is also very keen to get down and dirty and that’s exactly what we done for this review at Grange Farm Leisure in Peterborough. Electrically folding wing mirrors add convenience with pop up headlight washers adding some element of safety, especially during winter months when road dirt can soon obscure lighting to a dangerous level. 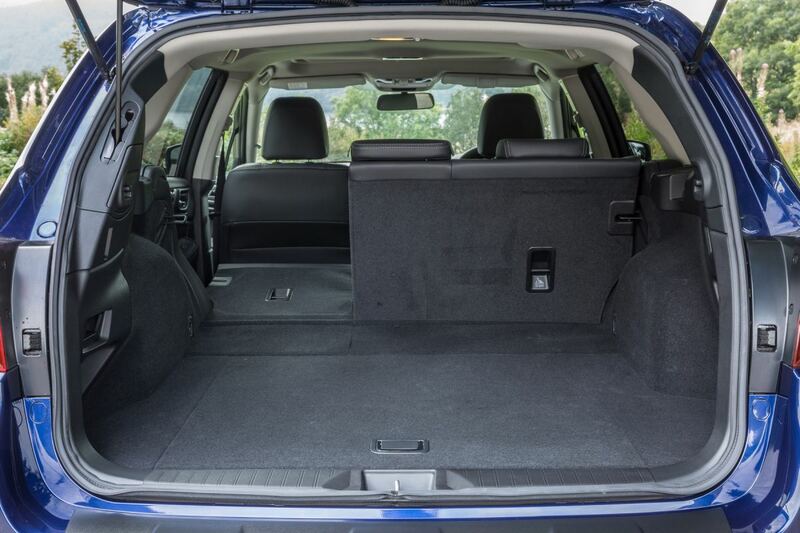 Load space is in abundance and when the split rear seating folds flat it becomes van like with a decent entry area for larger items, I don’t think a trip to your local Swedish furniture chain would prove much trouble for the Outback. 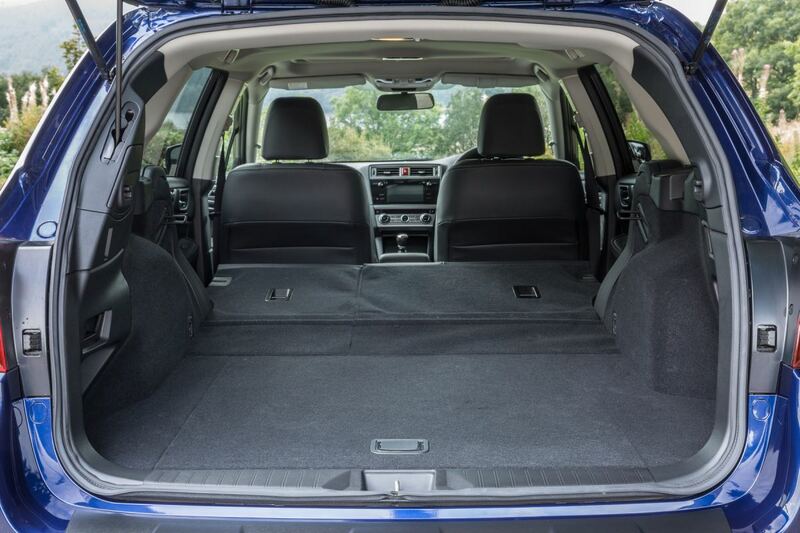 Inside and the Outback offers fantastic room, the room for rear passengers alone was impressive never mind the space on offer up front. 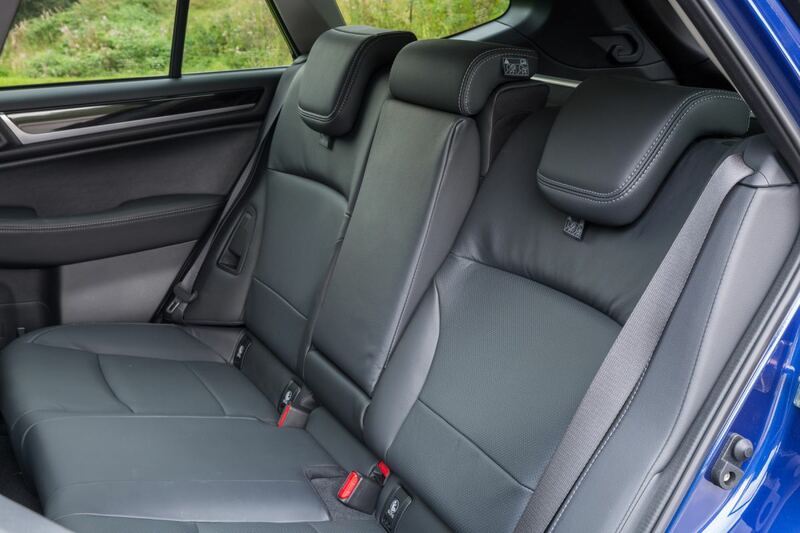 The model tested was fitted with heated seats up front and the seats themselves were comfortable with just enough support. 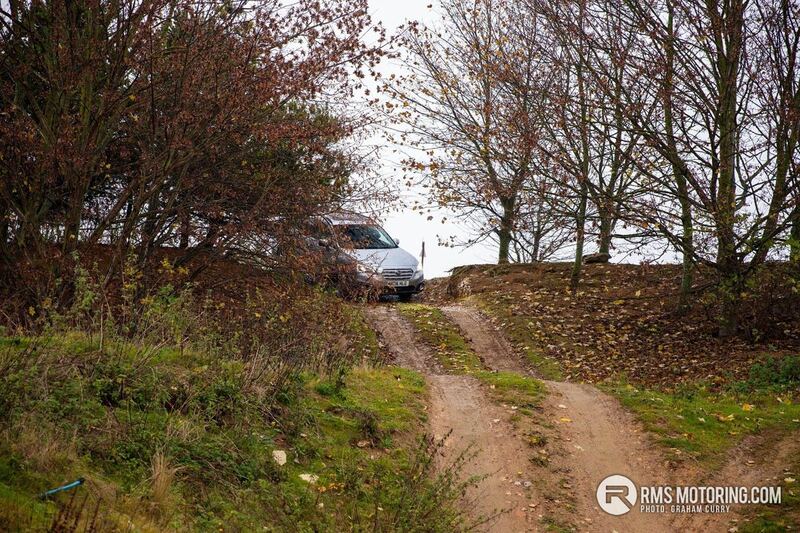 Comfort levels didn’t change much when off-road and even as a rear seat passenger for some of the challenging terrain, was fine. Leather graces the steering wheel, gear knob and hand brake lever whilst the drivers seat is electrically adjustable. Dual zone climate control keeps the cabin at a comfortable temperature and there is a mix of 12v sockets and USB points for charging devices etc. 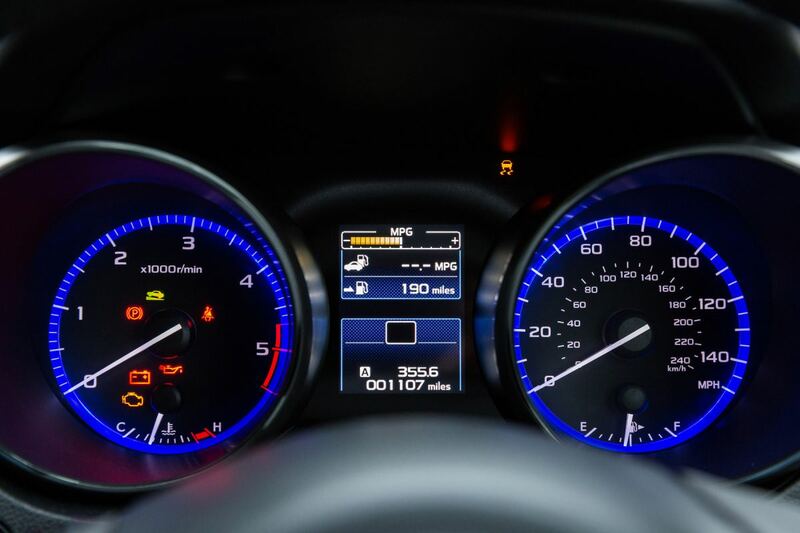 A five inch screen displays the Subaru EyeSight data within the speedometer cluster with the infotainment being displayed on a seven inch screen in the centre of the dash. Infotainment is ample in the Outback with CD, Radio, BlueTooth and Aux input as well as USB input on offer meaning you will never be stuck for choice when playing your favourite hits and StarLink allows better connectivity with suitable phones. Engine wise the model tested is the 2.0L turbo diesel, flat four ‘boxer’ engine producing 150PS with 350Nm of torque which via the automatic CVT gearbox will go from 0-62mph in 9.9 seconds, punchy enough for me and most potential owners and with the low slung weight of the boxer engine drivability is paramount. This style of engine has one drawback which is that it won’t be as frugal as some competitors within the segment such as the Audi A4 All-Road or Volvo XC70 however it should still return an mpg in the low to mid forties with mixed driving. 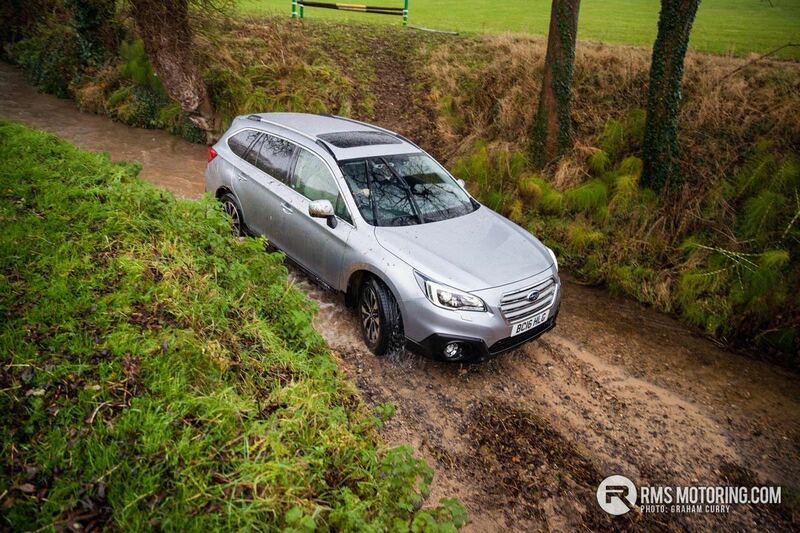 The benefits of this engine style completely swamp the above criticism however and alongside the symmetrical all wheel drive system as well as the CVT gearbox the Outback has a centre of gravity similar to that of many sports cars. 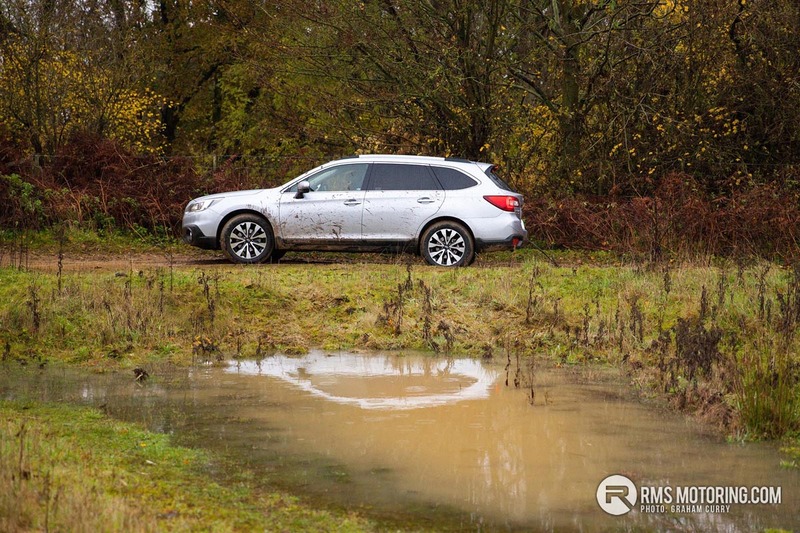 As such, on road agility is second to none with cornering stability like few others in the class and the Outback drives as well as any family estate, even the fact that it offers a 200mm ground clearance doesn’t seem to hinder its agility. 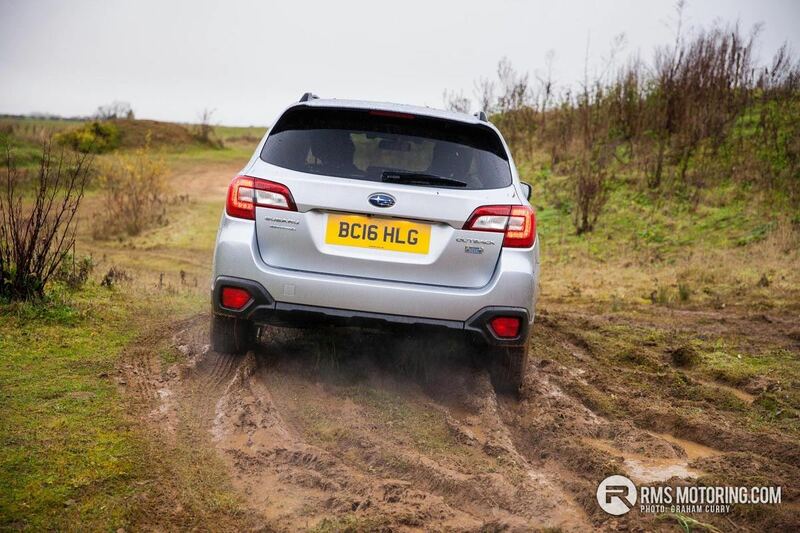 Cruise control, hill start assist, brake assist and ISOFIX child seat points are all on offer with the Outback whilst Subaru’s EyeSight technology [read more about this here] keeps things very safe in the city and whilst using the active cruise control on the motorway. 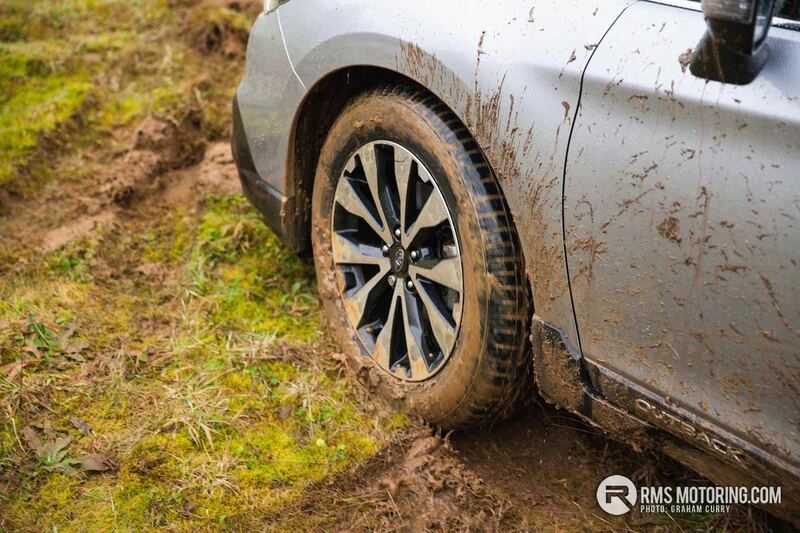 With previously mentioned ground clearance, the Outback’s off-road ability is without question class leading and will even give many SUV’s a run for their money on rough terrain. With a centre differential and active torque split the Outback is a proper go anywhere estate. 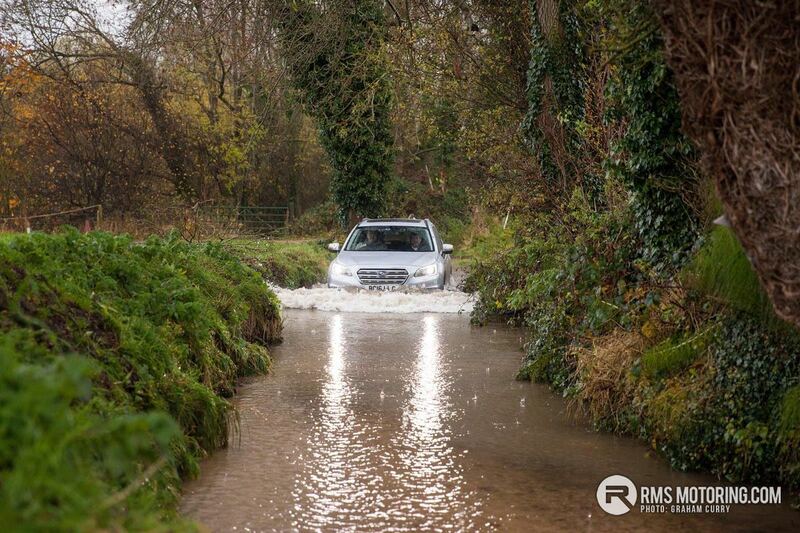 I assumed for years, going by the shape and style of this slightly lifted up estate that it would tow a small horse box into a grass field at a local point to point and leave with ease with not much other than a gravel lane or a snow scattered road being possible. 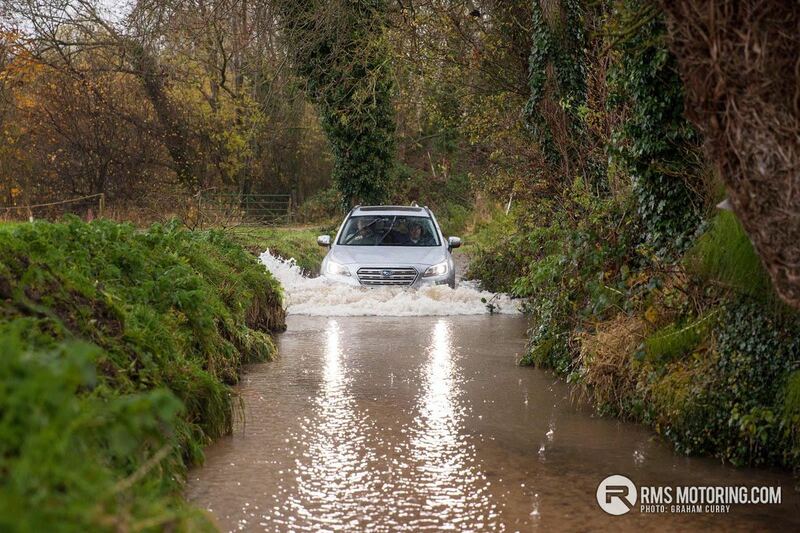 I was proven wrong though, very wrong in fact as during my hour or so with the Outback off-road it surpassed all expectations and proved its salt in a way that left me slightly stumped for words and open mouthed which was soon followed with laughter at what the Outback had just achieved. 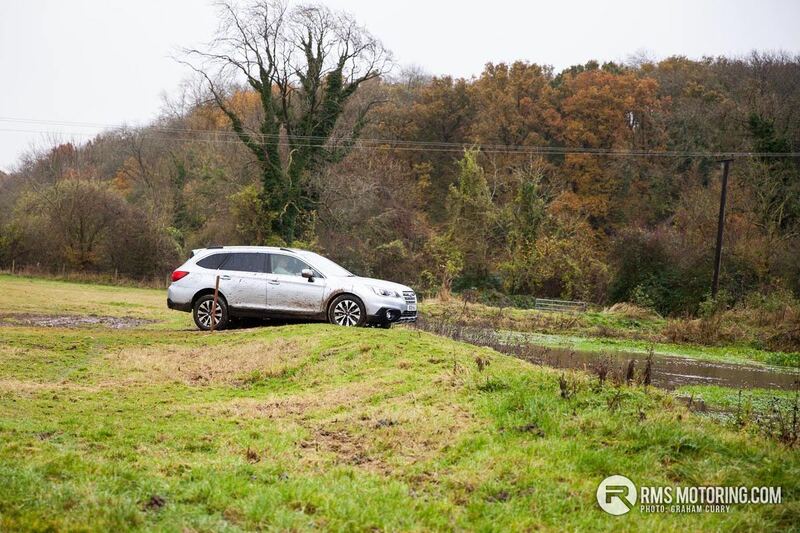 I have done my fair share off off-road driving and taking my love of Subaru out of the equation here for an independent view, I was genuinely shocked that the Outback was able to do 99.9% of what the Forester and even XV are capable of. 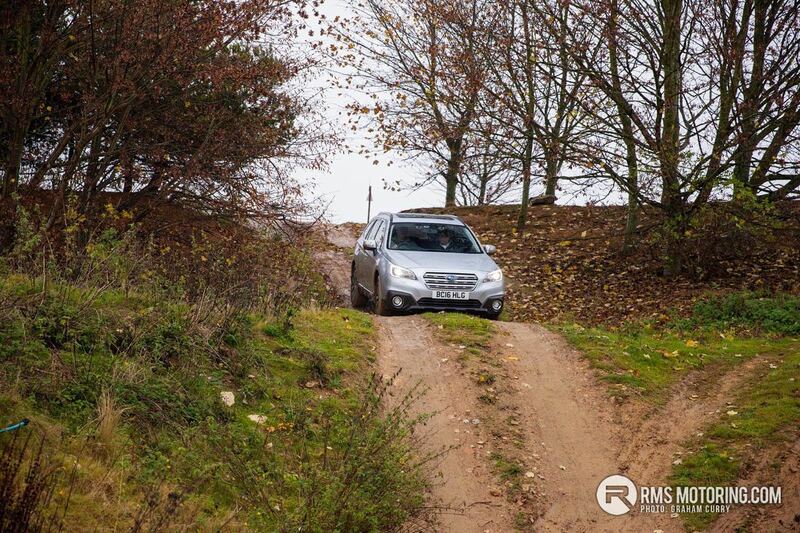 Up hills, down hills, through streams, into lakes and absolutely everything in between the Outback was in a league of its own, a league that no direct competitor could come close to when it comes to providing an estate that copes as well on-road as it does off it. 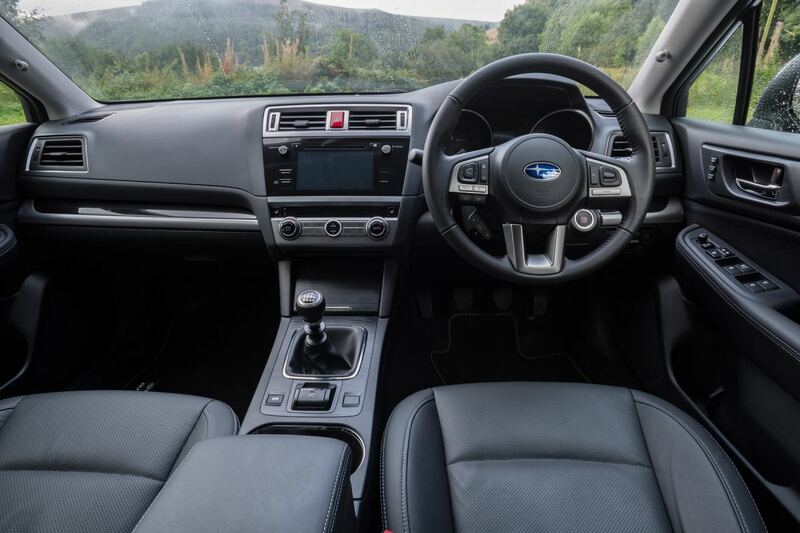 OK, the Outback may not have the luxurious materials inside of others in the class, but at circa £30k you are not paying for a hand stitched dashboard or an audio system some clubs would be envious of. 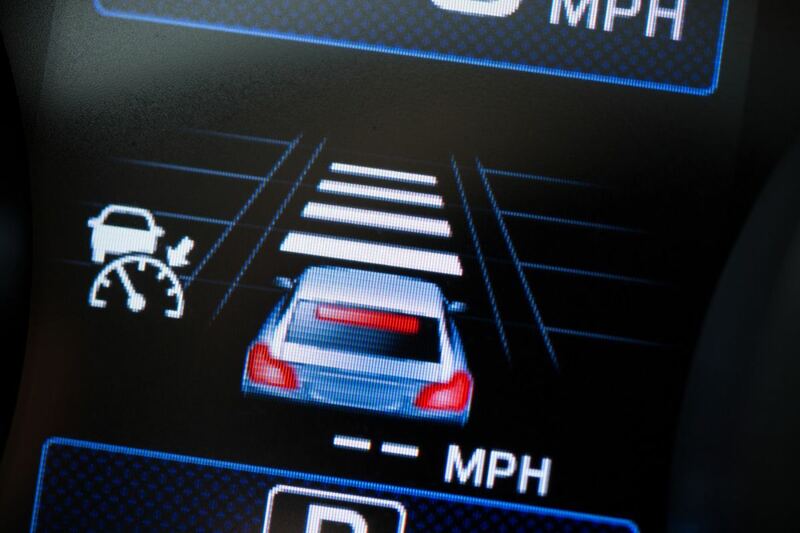 You are paying for a Subaru that will out drive and out last most others. 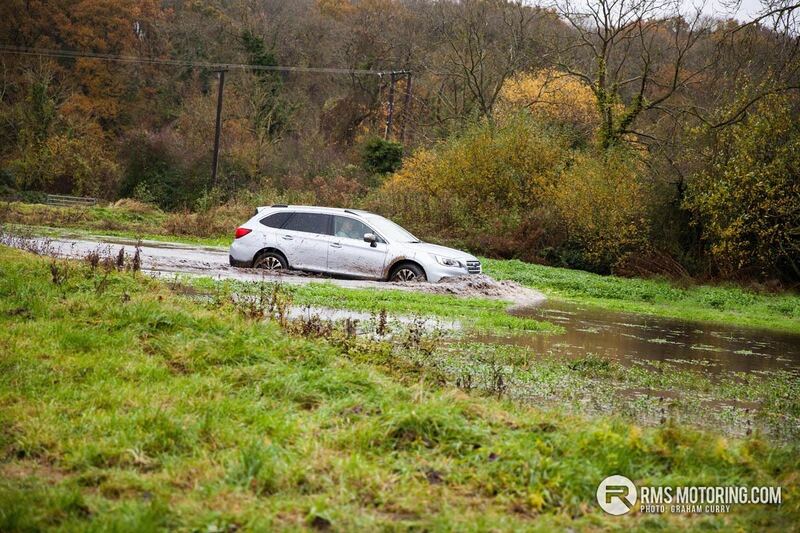 With a five year, 100k mile warranty Subaru shouts confidence and reliability and with road tax on this model tested coming in at £185/annum it is more than affordable. Varying trim levels are available with manual gearbox and petrol engines also available. 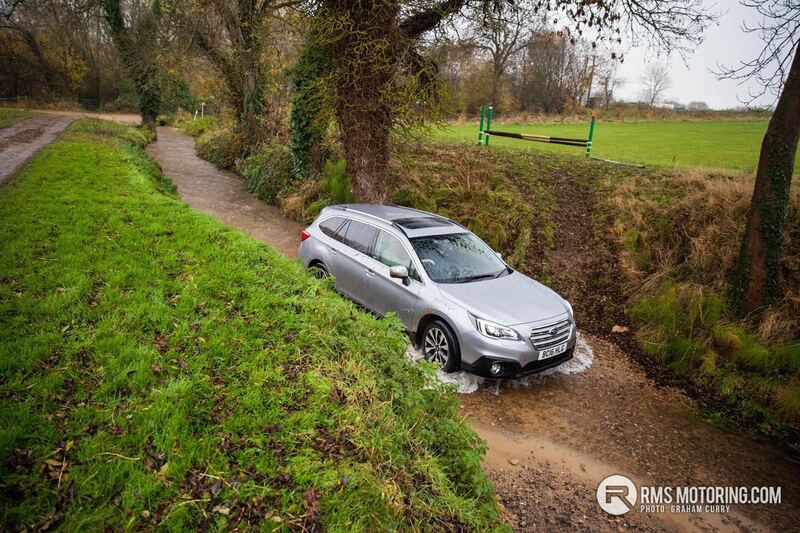 If you need something with plenty of room and all wheel drive that isn’t going to let you down and spend a lot of time in the workshop then the Outback is most certainly one to consider.